Not to make you feel bad but why is hiring a professional window cleaning service on of the easiest things to procrastinate? Is it because we don’t know how important it is to keep our window clean and dust-free all the time? 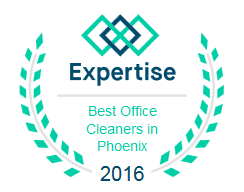 Today we’ll remind you why you should either clean them yourself or call the very qualified cleaners at Arizona Window Washers. 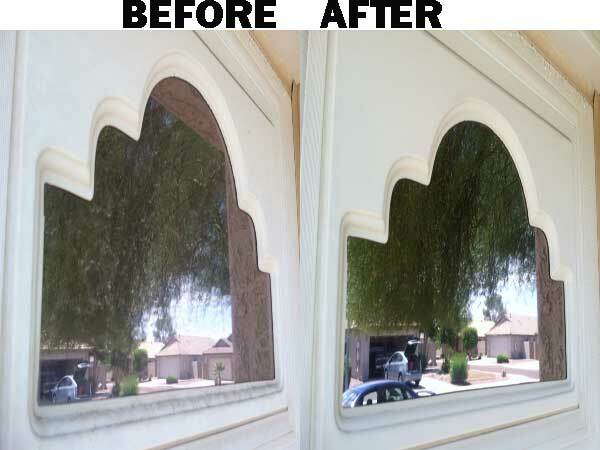 Window Cleaning service is the reason most of the homes and businesses in Arizona have impeccable windows all year round. The magic touch of professional window cleaning service. Notice the reflection after cleaning looks like a high resolution colorful photograph. Let’s get down to the nitty-gritty of reasons to keep those windows clean! Another week we’ll discuss reasons to keep commercial windows clean! Be it young people in apartments or kids throwing parties when parents are away, clean windows are the first thing parents will see. Don’t let mom and dad think you can’t function on your own (even if you’re married with children) and clean them yourself or get our cleaners to use our wax-added cleaning solutions to keep them clean for those surprise visits. Yes, in-laws are parents too, but regardless of how long a couple has been married, the in-laws will always be a nerve-racking visit. The husband may be cool as a cucumber when his parents come to town while his wife is trying to make sure every nook and cranny are clean for her mother-in-law. On the contrary, the husband may still be fighting for his wife’s family to respect him while wife assures him that everything is fine. What better way to impress the in-laws than clean windows inside and out? Kids are messy! Kids love licking and touching windows. Some will even find ways to draw on them when parents aren’t looking! Taking care of children is a full time job for both parents, so let professionals take care of windows, patios, and house sides so you don’t have to. Clean windows will inspire you to go outside. Being able to clearly see the clouds and the sunshine just might make going on a picnic seem like a great idea. Dirty windows can leave shadows inside or increase glare. Clean windows can keep the sunshine beaming in so you can read, work, or play without using harsh artificial lights. Properly cleaned windows will allow the warmth from the sun to enter your home. On the other side, however, those cool nights will be able to cool your home. Sit the couch next to a big window and tell us you can’t feel the cool night air. If you’re looking to sell your home, clean windows are a great way to make your house look years newer with little work. Dirty windows may have dead bugs, mold, mildew, and who-knows-what-else. Looking at that will in no way improve your mood. Looking out into a world filtered through dirty windows is bound to keep you down. Allergy sufferers will tell you that mold, mildew, and dust are awful. Clean windows will remove many pathogens which may be the best decision for your allergy-suffering loved ones. We also offer power washing for other surfaces which harbor mold and mildew. Much like how the real estate value will improve with window washing, so will just the visual appeal. Neighbors will comment on how great your home looks and if you live in an area where you need to meet certain standards, our services will drastically improve your ratings and social standings. Besides, hiring professionals will make people think you’re super successful, but our prices are so great it’s within anyone’s budget! Just call Arizona Window Washers for your window cleaning services needs. This entry was posted in Window Cleaning and tagged arizona window washers, commercial window cleaning, phoenix, professional window cleaners, residential window cleaning, window cleaning. Bookmark the permalink.